This is still happening. Although the calculated results seem ok it still worries me a bit. All DB fields involved have a precision of 19 and scale of 2. This is internal behavior of some comparison operators of SqlDecimal. According my experiments, it happens when difference between scales or compared SqlDecimals is more than 9. 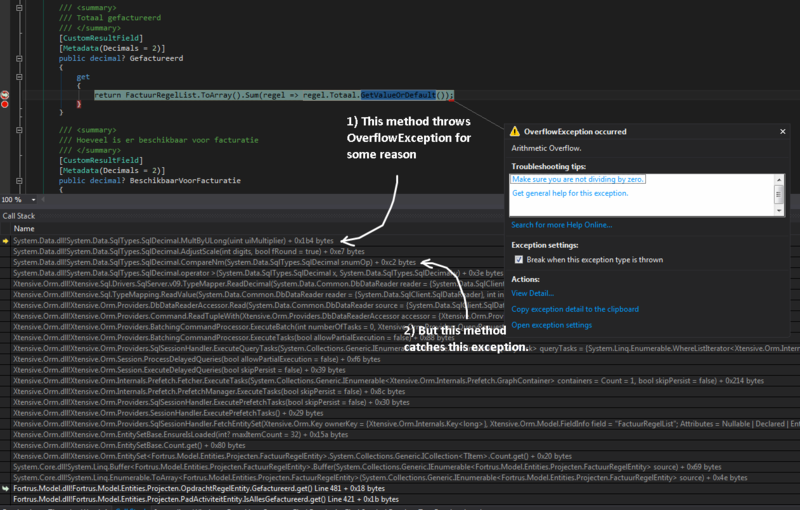 But this exception catches on higher level (see image bellow).